The new NVIDIA SHIELD TV (2017) is now available for purchase at your favorite local and online retailers. That includes shopping directly from NVIDIA, or hitting up Amazon, Best Buy, Fry’s, B&H Photo, etc. At $199.99, NVIDIA is giving you a more compact unit with the same goodies internally (Tegra X1 processor powering it, 3GB RAM, 16GB storage (expandable), and more), remote, and game controller. They also upgraded each remote to include an IR blaster and revamped the controller for better ergonomics. 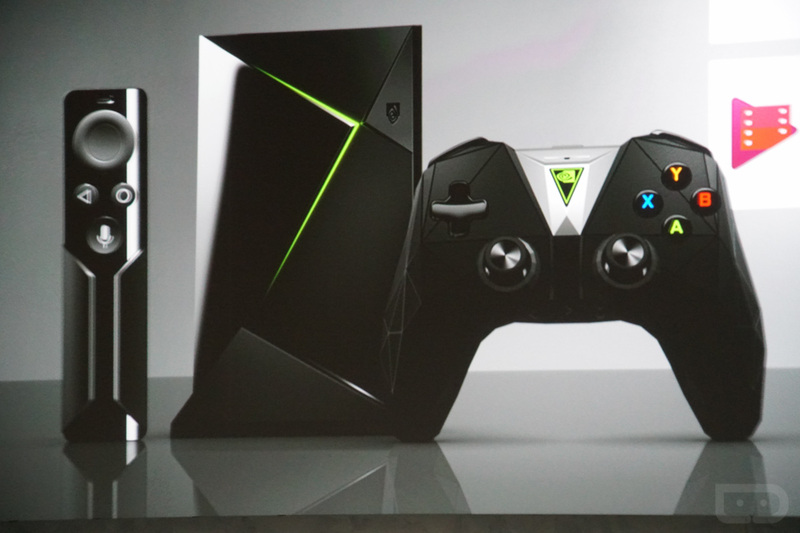 The new SHIELD TV is still very much like the original 2015 model, but again, it comes in a sleeker package, includes both remote and controller, and a $199 price tag. Previously, you had to buy the remote separately, and that set you back well over $200. As for what’s new on the software front, well, not a lot just yet. For now, you’ll get Android 7.0 Nougat out of the box, Amazon Video preloaded, plus thew new NVIDIA Games app. You’ll also get all the 4K HDR support you can handle. In the coming weeks (or months? ), Google will introduce Google Assistant to Android TV and this SHIELD TV unit will be the first to get it. Once that happens, you’ll essentially have a home control Assistant baked into your TV, that gives you control over your thermostat and lights and other smart home goodies. As of today, the 16GB model is available at all of the retailers below (in-store at Best Buy too). If you want the 500GB Pro model, you’ll have to wait a couple of weeks as it’s only up for pre-order. Note: We were supposed to have had a review unit days ago, but due to weather (full Snowpocalypse with state of emergency here in Oregon), it’s still pending at a shipping dock somewhere. We’ll have all of the SHIELD coverage you crave before long.